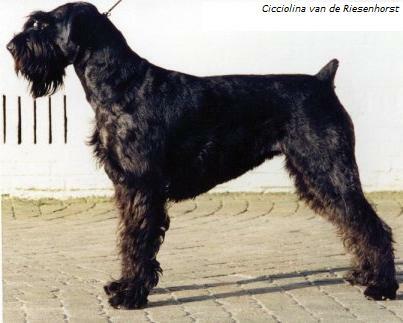 May 11th, 1992: Riesenschnauzer breeding De Riesenhorst is a fact. 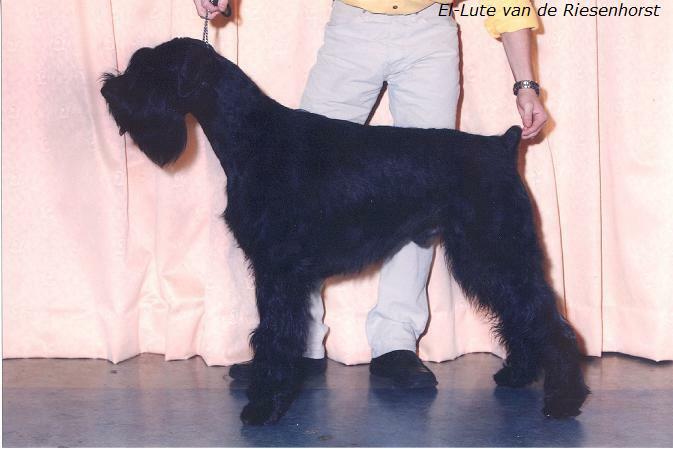 The breeding is registered by "De Raad van Beheer". 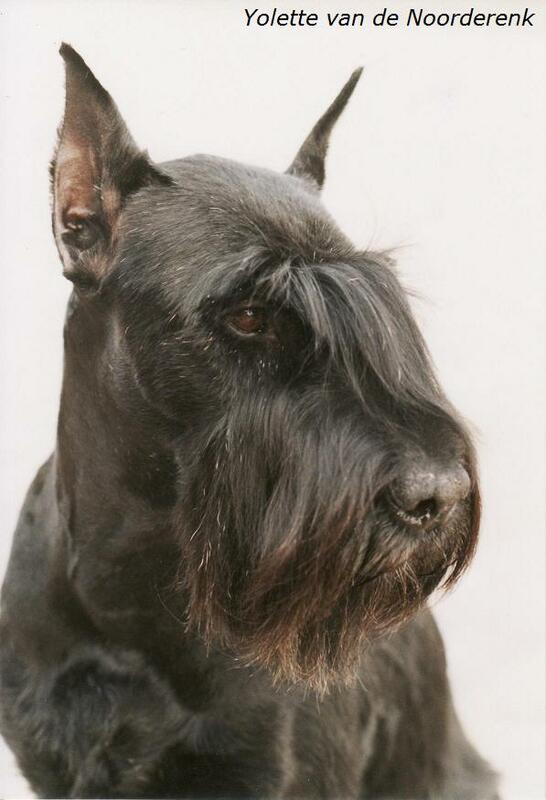 1995: Yolette van de Noorderenk becomes "World Champion Veteran" at the World Dog Show in Brussels, Belgium. 1998: Cicciolina van de Riesenhorst is the first Dutch Champion of De Riesenhorst breeding. 1999: Cicciolina van de Riesenhorst is the first German Champion, VDH Champion and Klubsieger of De Riesenhorst breeding. 2001: Our first website is launched. All information about the breeding and the dogs is available on the internet at www.riesenhorst.net. 2003: El-Lute van de Riesenhorst wins the first "Winner Amsterdam" title and becomes the first Luxembuorg Champion of De Riesenhorst breeding. 2006: Jelke van de Riesenhorst wins both the Youth Winster and the Winster title at the Winner Amsterdam. 2010: The website gets two more web addresses. Next to www.riesenhorst.net, www.riesenschnauzers.com and www.riesenschnauzerpups.nl come online.